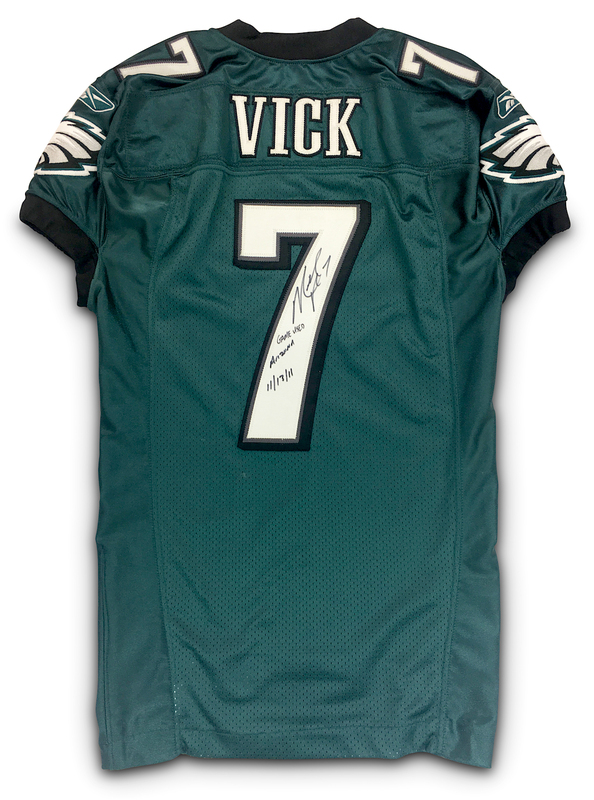 Game Data: Philadelphia Eagles vs. Arizona Cardinals - Nov. 13th 2011 Jersey Specs/Tags: Reebok / Tagged "06-44" / Size 44 / Reebok manufacturing tag sewn on the inside front tail with a handwritten "VS Arizona 11-13-11" Wear Details: The jersey shows overall light to moderate use with light scuffs in multiple areas. 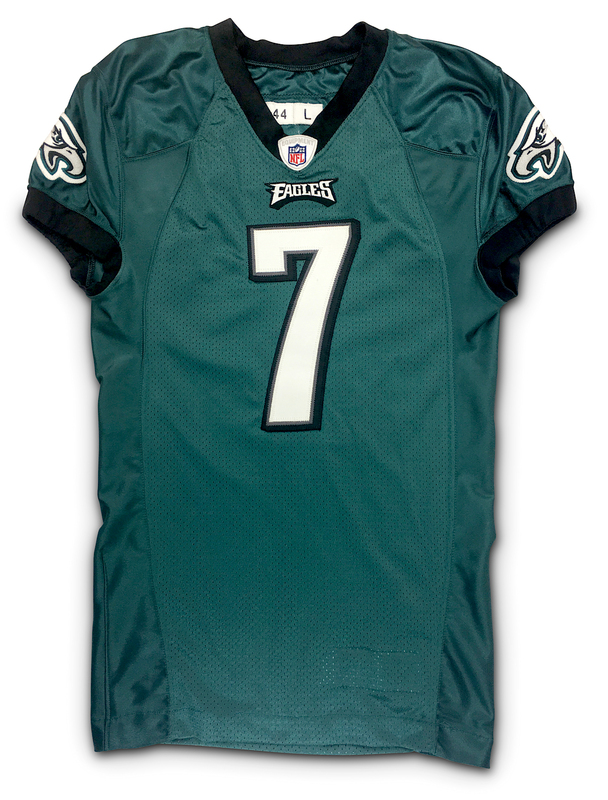 The wear on this jersey is consistent with the quarterback position. Authenticity: Resolution Photo Matching LOA, JSA COA TO PURCHASE Call 480-988-5847 or Email us at info@infiniteauctions.com Today! ACCEPTED PAYMENT METHODS: Check, Money Order, Cashier's Check & Wire Transfer. We do not accept credit card or paypal payments.